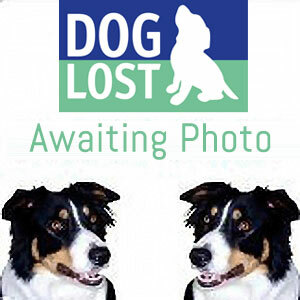 I'm not sure if this helps, but last night (weds 20 Jan 05) I saw a dog, dark in colour with a white chest (looked like a staff) running along on the grass verge at the junction of the A406/A13, this was around 4.30pm. I didnt stop as I was in the outside lane approaching the 406 but the dog appeared to be running towards the 406 heading the Ilford way from the A13. I did not phone police as my phone battery had died. If you check with local police maybe someone called them. Hope this helps! Percy's owners can be contacted on 07821 122440.